Lahore : PML-N and PTI have started a race to get maximum support and contest between minimum parties in NA-120 bye election . Chairman PTI Imran Khan visited MWM office at Shadman and succeeded to get their support after dialogue with Majlis Wahdat ul Muslemin. MWM leadership assured to withdraw their candidate and to vote PTI. 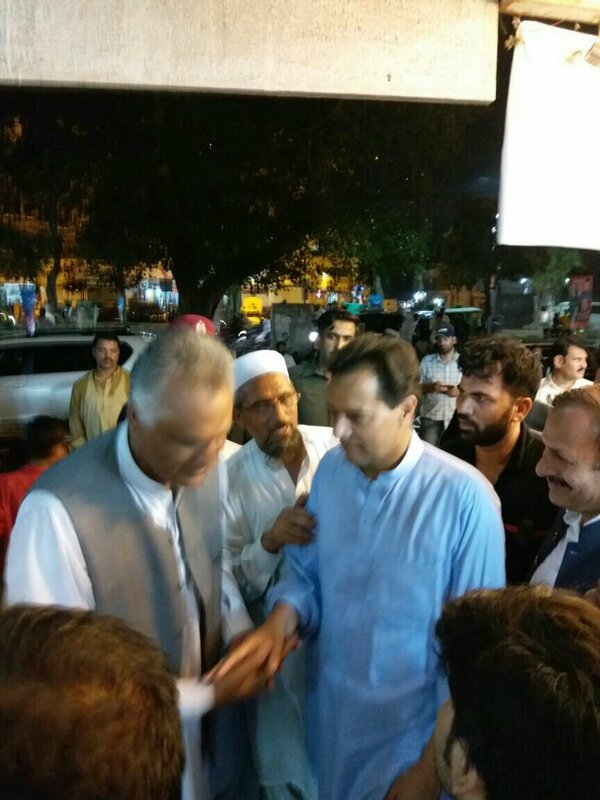 On the other hand ; PML-N leader and son in law of Nawaz Sharif , Capt Muhammad Safdar visited ANP candidate Bahadar Khan and requested him to withdraw his nomination papers who promised to talk to ANP leadership in this regard.